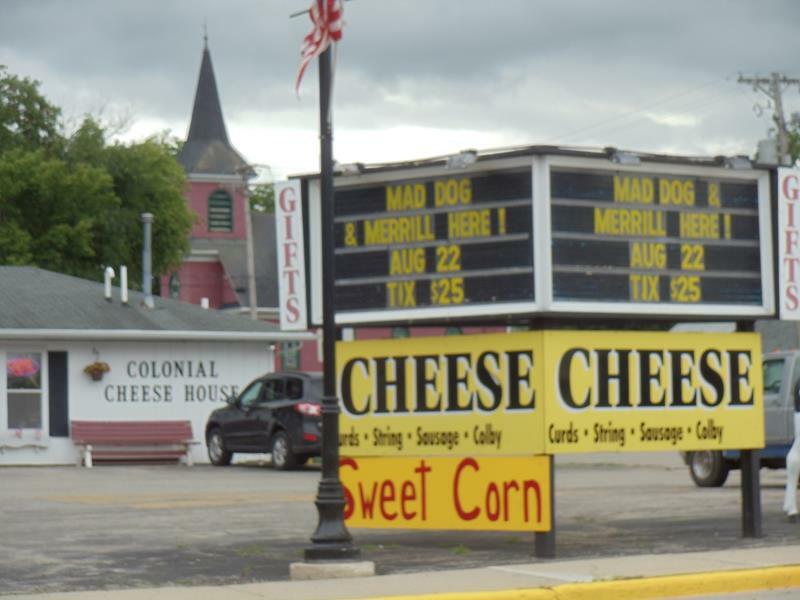 Situated where Highways 21 & 116 cross the Fox River in downtown Omro, the Colonial Cheese House specializes in aged cheeses, including “super aged cheddars,” and also features fruit cheddars (like cranberry cheddar), nut cheddars, curds, beef sticks, and a variety of sausages and cheese spreads. But it’s the Wisconsin cheese and sausage selection that makes this a State Trunk Tour pick. Check it out if you’re heading through Omro!